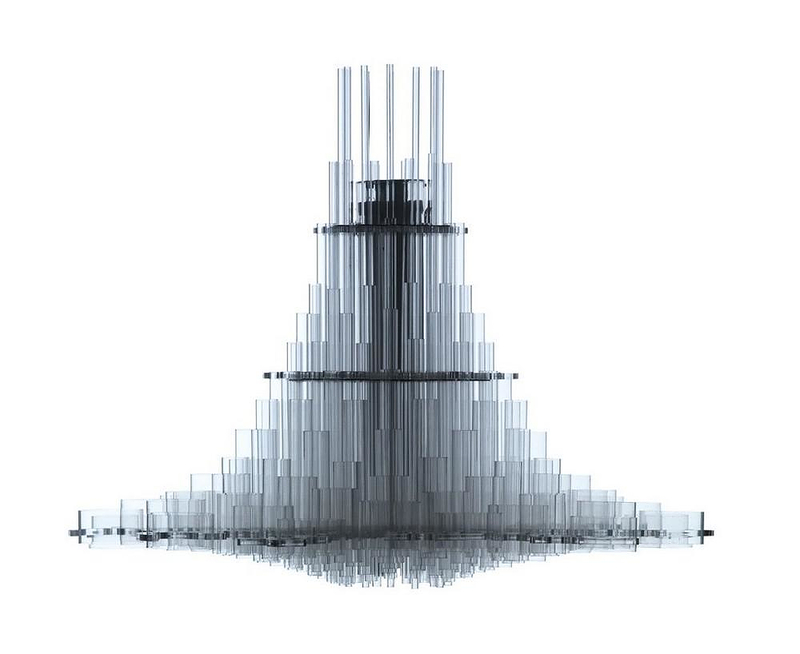 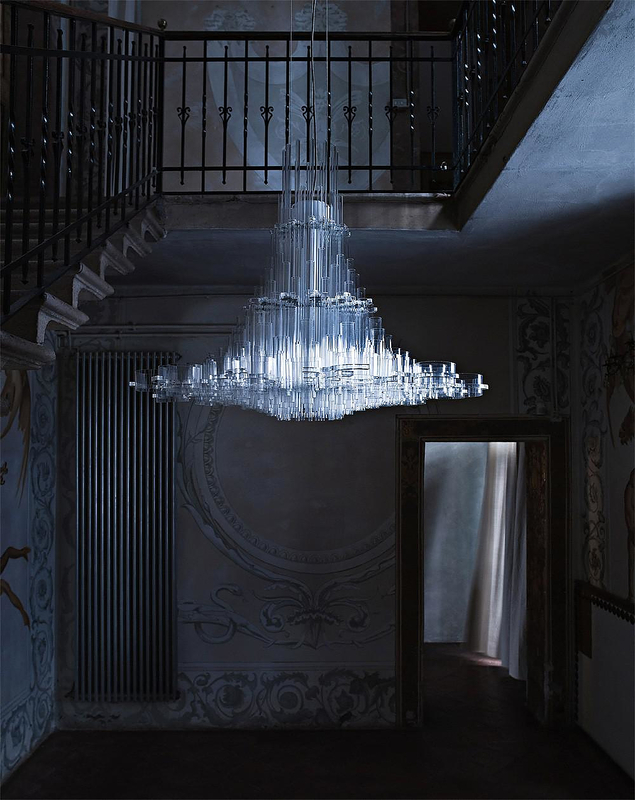 HomeBlogHome DecorUma Chandelier Light by Giancarlo Tintori for Nemo Cassina. 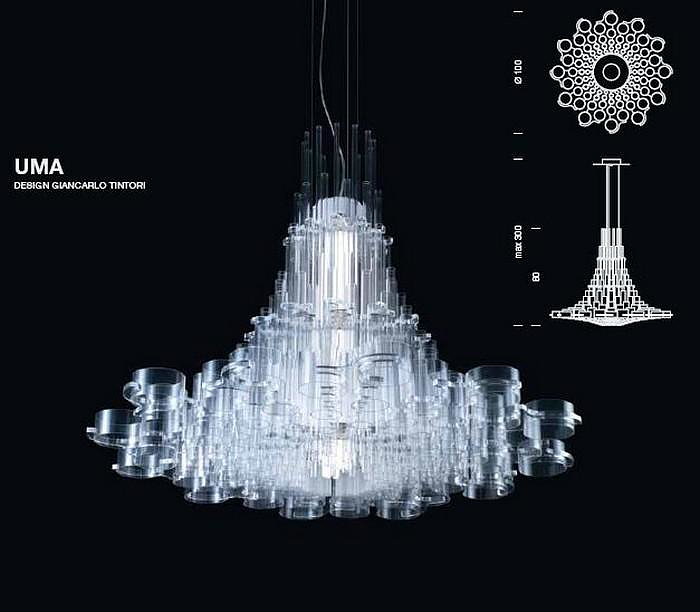 The Uma Chandelier Light by Giancarlo Tintori for Nemo Cassina is a modern take on the traditional Chandelier, which combines visual magnificence with contemporary aesthetics. 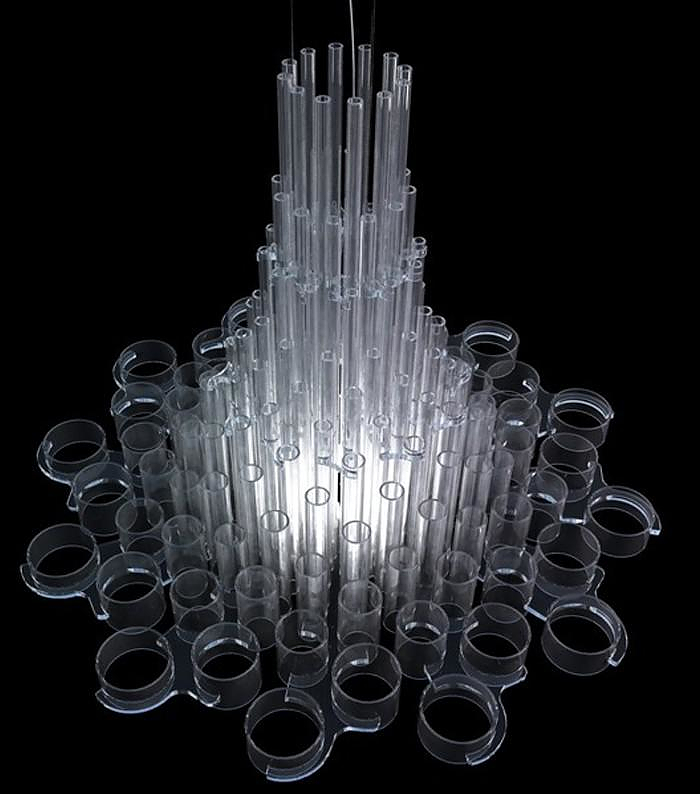 Innumerable transparent acrylic tubes are composed together to create an imposing form of lighting. 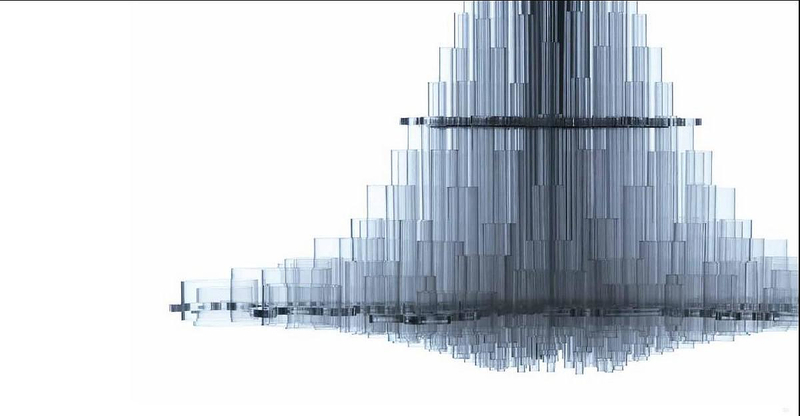 The two 80W fluorescent bulbs remain hidden inside the transparent structure, creating a mystical and imposing light source.